Companies that are successfully embracing AI are committed to transformation programs. Top management will need to embrace change and be able to comprehend the necessary capabilities to deliver their strategies without directly or indirectly overpromising to their business partners. Today’s artificial intelligence (AI) technology movement is transformational and will require new leadership skills that are embracing of change. However, the key driver will not be technology alone, but the maturing of the right capabilities. 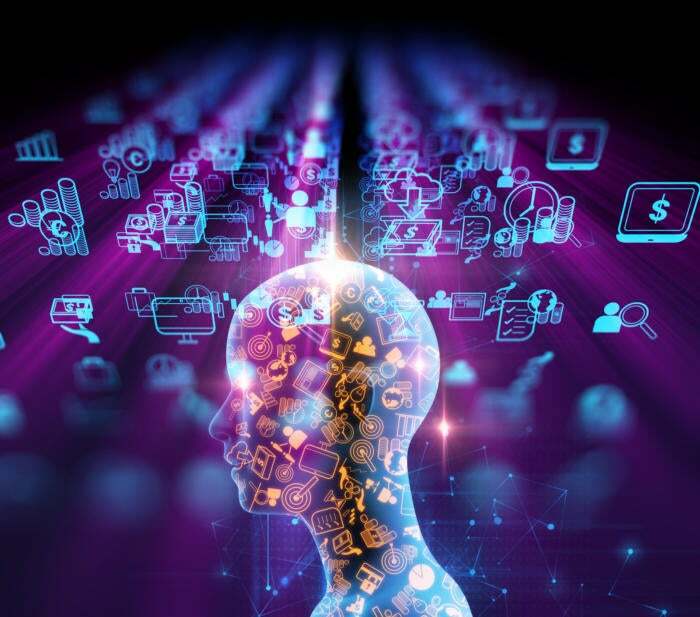 Companies committed to adopting AI will need to develop corporate strategies and governance policies that will require in-depth knowledge of the capabilities to assure expectations are in alignment with the promised value to their business partners. The expectations for AI are astronomical with irrefutable results. You don’t have to look any further than your wrist to ask Siri what are the best Thai restaurants within a five-mile radius of my current location. The disruptive capabilities of AI are putting technology leaders under more pressure to deliver business value than ever before. The culture change required to implement AI will be daunting. It will be challenging to acquire AI talent and address competing priorities for AI investment. The insistence that AI will eliminate jobs may be true at some future date. However, for the foreseeable future, companies will require vast number of people in both business and data analytics that can bridge business areas that are reliant on each other. The challenge for technology leaders is to understand what are the capabilities of AI and how to manage the expectations for delivering value in their information management strategy. Arthur Samuel coined the term “Machine Learning” in 1959 by developing the first self-learning computer program, Checkers. This concept of self-learning is a misnomer. Learning implies intelligence. The problem with this emphases on machine learning is that there is an underlying assumption that machine learning is synonymous with artificial intelligence. This could be no farther from the truth, depending on your definition of AI. Professor John McCarthy is credited with coining the term artificial intelligence back in 1955. In 1979, Professor McCarthy wrote an article “Ascribing Mental Qualities to Machines” making the case that machines could have developmental qualities like beliefs, intentions and wants. However, in 1980 the philosopher John Searle responded with his famous Chinese Room argument, taking the stance that machines cannot have beliefs simply because they are not conscious. So, this leaves us with the Turning test. In 1950, Alan Turing developed the Turning test, which is a test of a machine’s ability to exhibit intelligent behavior equivalent to, or indistinguishable from, that of a human. Can machine learning exhibit intelligent behavior equivalent to that of a human? Not really. Machine learning is the technique of pattern classification and prediction based on input data. It lacks the capability to recognize which concepts it should use when it is assigned a task. Every object has some sort of feature that describes it. Deep neural networks (TensorFlow, Mxnet, Caffe2, Theano and Torch to name a few) uses machine learning algorithms so that they can understand these features of an object and correlate them to a concept. In short, machine learning will recognize a pattern, deep neural networks provide the capability to look at thousands of patterns and discern from those patterns, an object like a cat, a dog, or even a human. This ability to discern concepts is the basis for building artificial intelligence. Yet, AI is more than just identifying concepts from patterns. Recently, there was an article titled “Spark Gets NLP Library.” The article goes into detail on how this natural language processing (NLP) library supports big data. These features include Part of Speech (POS), Named Entity Recognition, and Sentiment Analysis (SA) to name a few. These features described in this NLP library are more aligned with Text Analytics than with NLP. NLP tasks include co-reference resolution, discourse analysis, morphological segmentation, natural language generation, natural language understanding and speech recognition. The English language is a fickle means of communicating intentions. Natural language understanding (NLU) goes beyond identifying key verbs and nouns in context, and addresses the meaning of the text. As in the case of these idioms: Water underneath the bridge, drop of a hat, Elvis has left the building. Or, I shot an elephant in my pajamas. What does that mean? Was I wearing pajamas when I shot the elephant, or was the elephant wearing my pajamas? Another example includes your nose runs, but your feet smell. Do we run on our nose and use our feet to smell? Finally, the sentence Time flies like an arrow makes perfect sense. However, Fruit Flies like a banana doesn’t make any sense if your treating the word ‘flies’ like a verb in the last sentence. AI goes beyond parsing of words and entity identification. It helps us understand the meaning. Humans understand all these statements, and we can make perfect sense since we have experiences with various contexts to characterize the true meaning versus the nonsensical statements. The challenge is to train deep neural network (AI) solutions with as many different contexts as possible. To do this, technology leaders will need to recognize the capabilities that are required for AI applications to become intelligent, as well as understand the need for large and diverse data sets. Having well-developed information systems that can pull together relevant training data across multiple domains will allow you to achieve an intelligent system. Unfortunately, when we start to infer that capabilities like machine learning equate to artificial intelligence or text analytics equate to natural language processing, we have setup conditions that provide a false sense of expertise and raise expectations with our business partners. This can only lead to underdelivering on the AI promise.